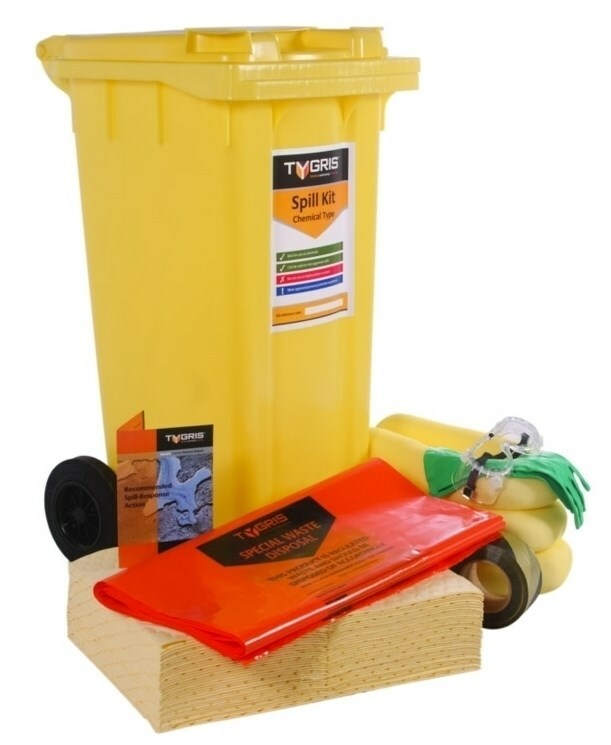 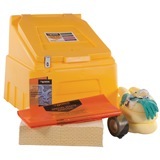 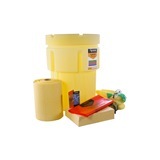 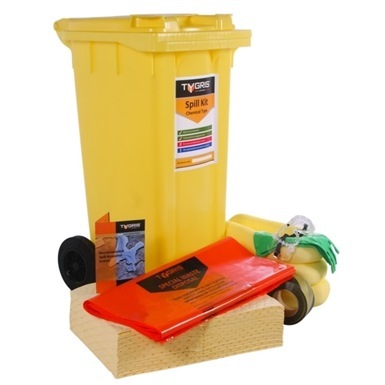 Tygris 90 Litre Chemical Spill Kit medium capacity spill kit. 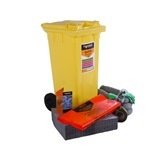 Hosued in a sturdy wheeled bin, perfect for moving to and from spill site and for containment of used absorbents requiring disposal after a spill has been cleared. 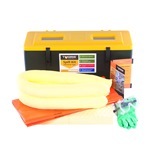 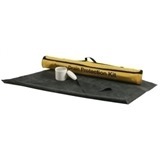 This kit contains 60 absorbent mats, 8 1.2m socks, 4 waste bags, barrier tape, gloves, goggles and coveralls for protection. 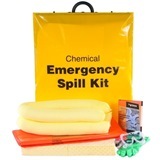 Includes Goggles, gloves and coveralls.